Sheet pan sausage and vegetables are an easy weeknight dinner you will want to keep it on repeat! 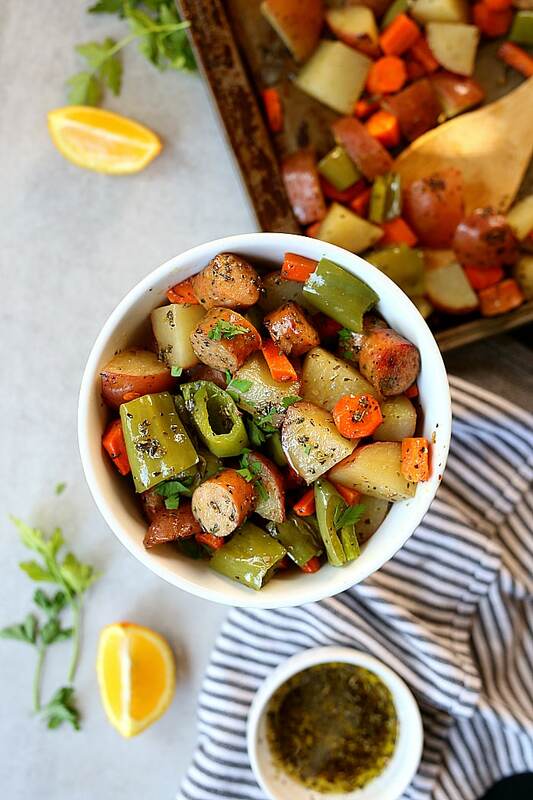 Loaded with slices of chicken sausage and chunks of potatoes, carrots, green peppers and a savory marinade to crisp the veggies into mouthwatering perfection! 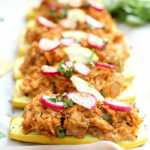 This is one of the best sheet pan dinners to make at least once a week!!! 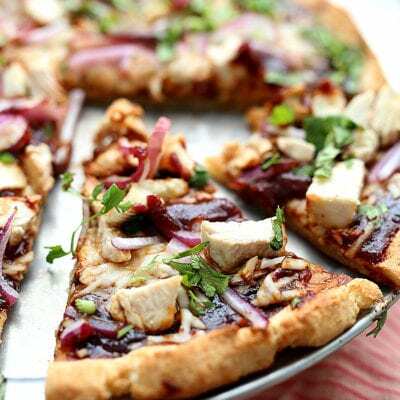 It is all about the delicious basil oregano marinade and you can use it for almost any vegetable or meat dish. 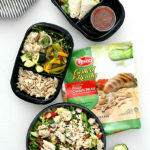 I am on a streak for healthy quick dinners to keep your family powered and dinners easy. The past couple of months have been super busy for us and I started getting burnt out from cleaning so many dishes after EVERY SINGLE meal. To the point where I would have panic attacks at dinner hour even if the meal was already planned. Has that ever happened to you? It was just about doing it and fearing if everyone will enjoy it the same. Because kids have taste buds that change like the weather in Santa Barbara, one day they like something and they next they don’t. 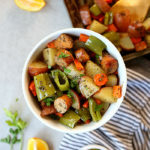 This sheet pan sausage and vegetables happens to be one dish that has made our nights simple and that is a winner in our family every time! 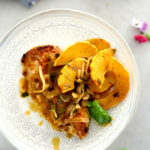 It caters to everyone and picky kiddos can pick out what they want to eat or just eat all of it – in a perfect meal sesh?. Just four simple ingredients for the delicious marinade. In a small bowl mix together the olive oil, salt, basil and oregano and pour half of it on the diced sausage and vegetables before roasting. Save the other half to coat right before serving. 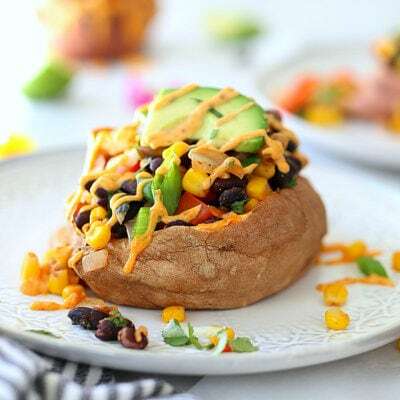 This recipe calls for green bell pepper or hatch green chili pepper (use this pepper for a spicy dish), red potatoes and carrots but you can also add other vegetables such as asparagus, green beans, red bell peppers, sweet potatoes, butternut squash and broccoli. Any meat that is grass-fed is better for you. Grass-fed meat is farm owned, raised with higher standards and is a sure way to avoid unnecessary added hormones and preservatives. Other options which I personally like to eat are turkey sausage and chicken sausage since they are lower in fat and cholesterol yet still have juicy bold flavors. Pork and beef sausage are almost double and sometimes triple the fat. 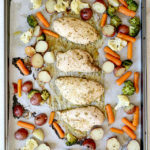 Sheet pan dinners are versatile. You can gather your favorite seasonal vegetables and toss them in this olive oil marinade or dressing right before roasting. 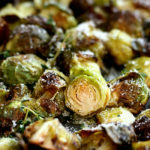 Roast the vegetables at 400 degrees Fahrenheit for 25-30 minutes depending on how thick the vegetables are cut, roasting them until they are slightly browned and flipping halfway through cooking. 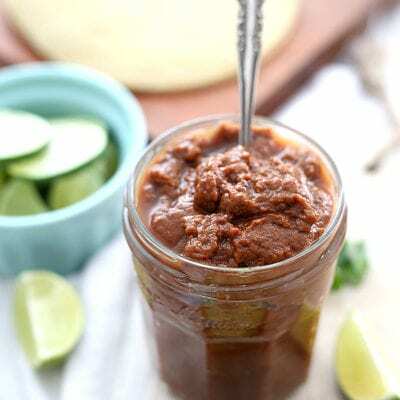 Use a sausage link (not ground sausage) for this easy recipe?. 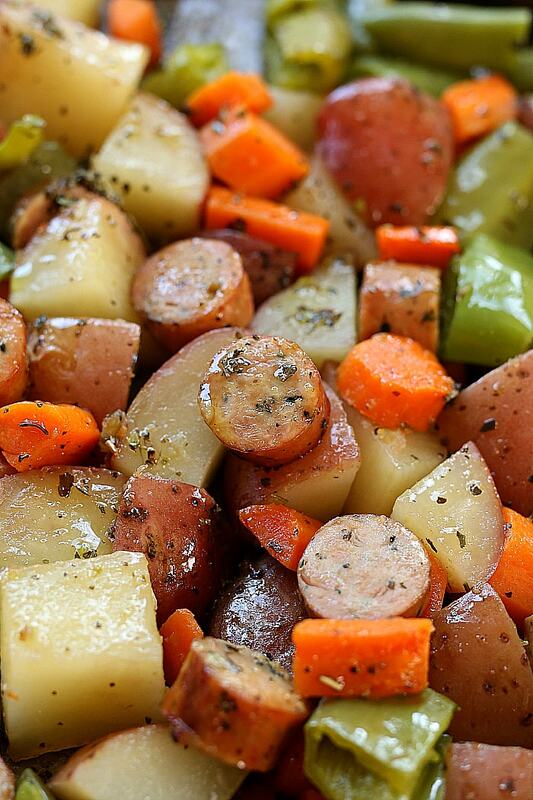 Serve this sheet pan sausage and vegetables meal by itself or over cooked rice or quinoa. bon appetit! Wash and prepare the vegetables: Peel the carrots and slice them and the sausage into thick circles. Slice the peppers into 1" squares and the red potatoes into 1/2" cubes. 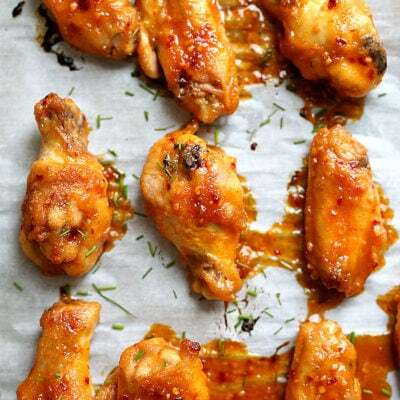 Make the marinade or dressing: in a small bowl add the olive oil, basil, oregano, onion powder, garlic salt and pink salt. Mix well. Spread the prepared sausage and vegetables on the sheet pan. Pour half of the marinade on top. Using your hands toss to coat them. Spread the sausage and vegetables evenly (not overlapping) on the baking sheet. Bake for 15 minutes, flip everything and bake another 10-15 minutes until slightly browned. 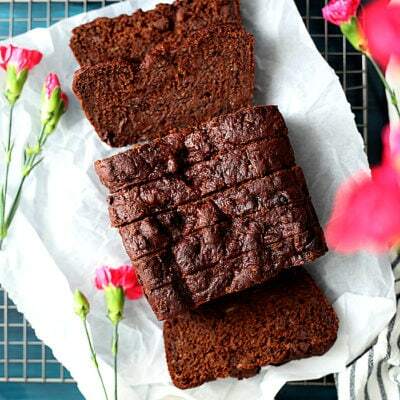 Serve with rice or quinoa to make this 6 servings. 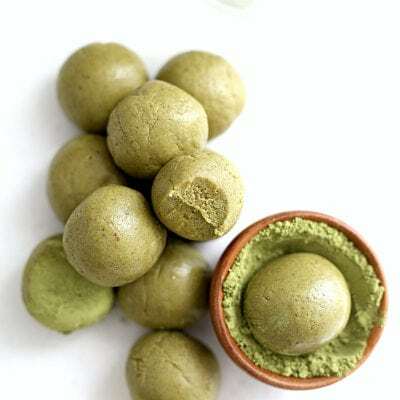 This can also be stored in individual containers for meal prep for the week. Add extra salt to taste. 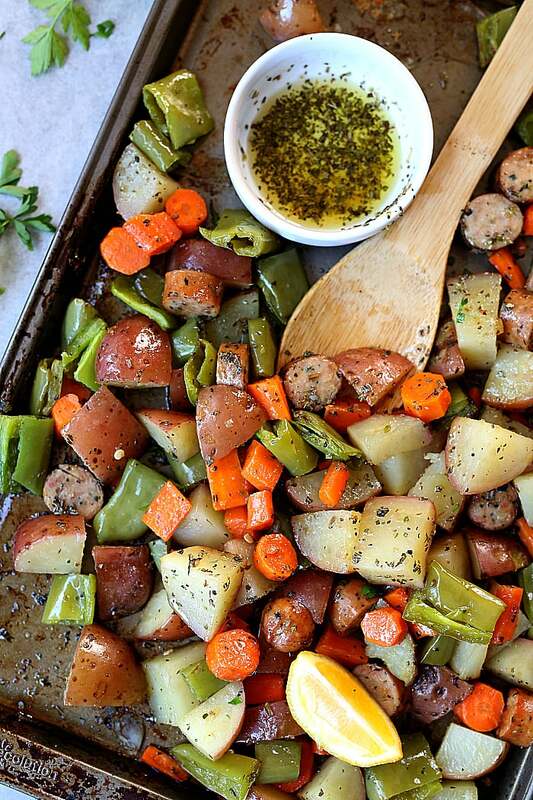 Pin This One Pan Sheet Pan Sausage and Vegetables Recipe!